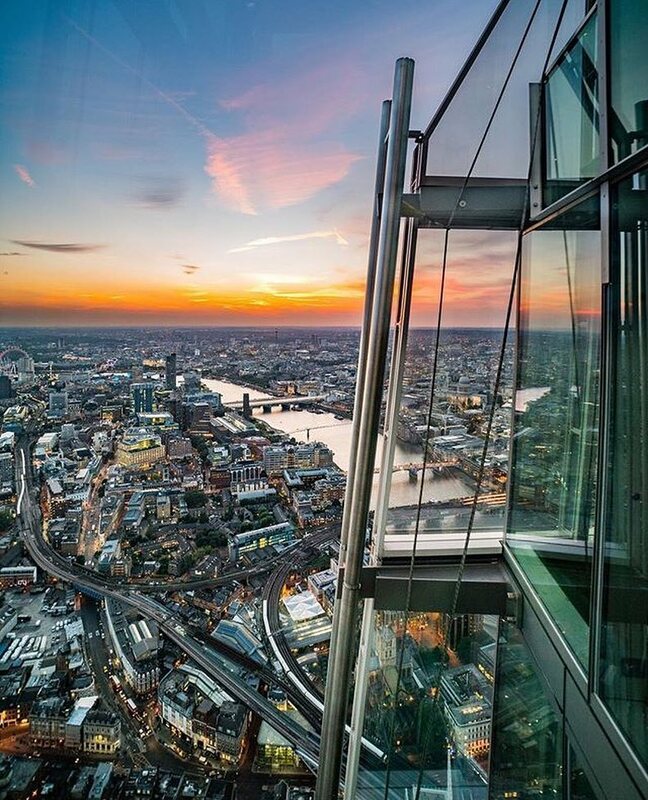 For unparalleled views over London, you can’t beat the View from The Shard. 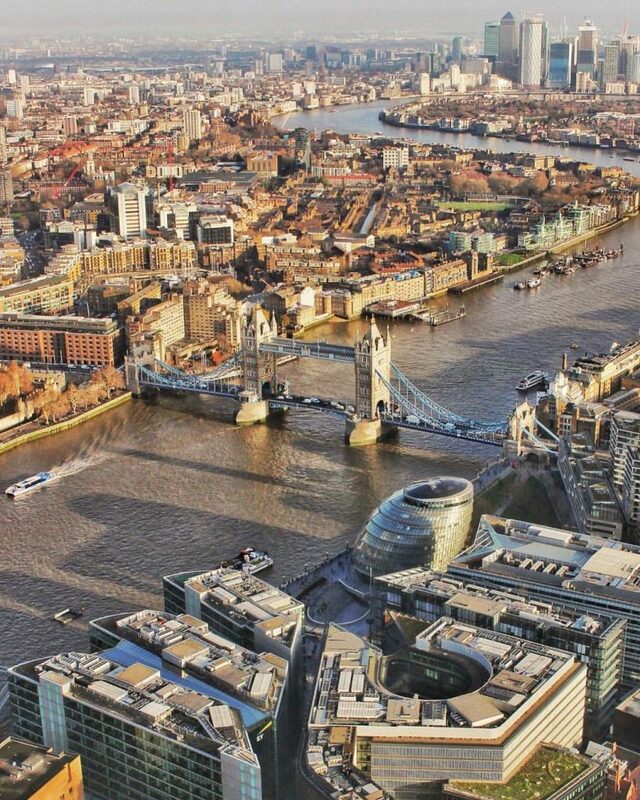 Obviously, we think London is one of the best and most beautiful cities in the world. But sometimes, you just can’t fully appreciate it from ground level – sometimes, you just have to get high. 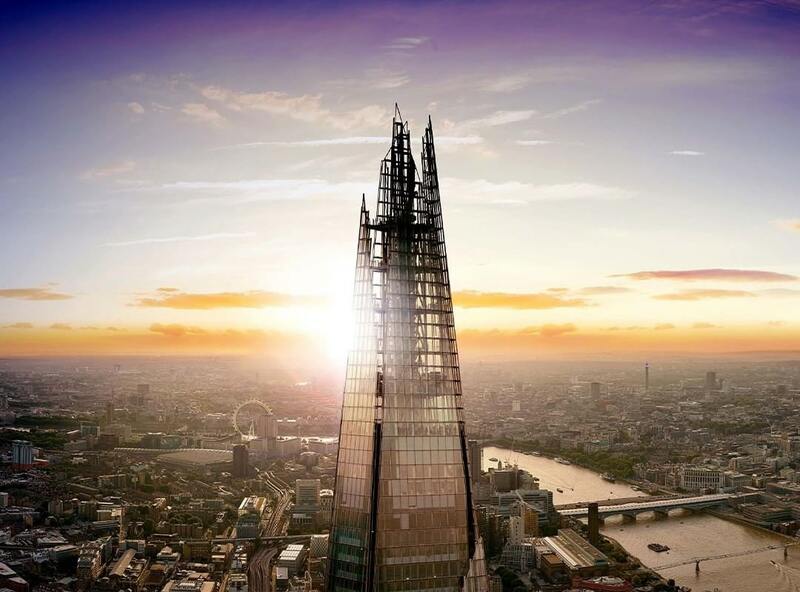 At the View from The Shard, you’ll be the highest visitors to London, towering a whopping 800ft (244m) above the ground, and enjoying some of the most panoramic views in town. 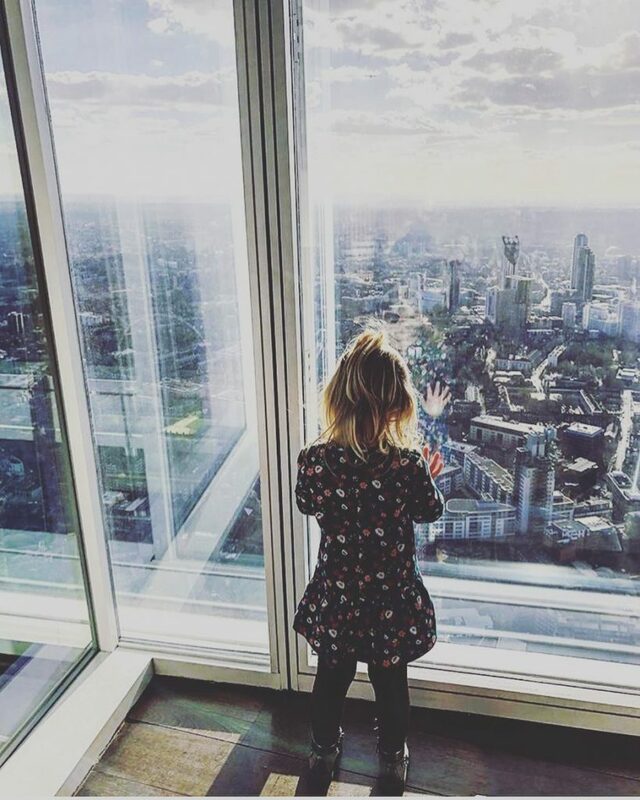 Life looks pretty different from 72 storeys up – so book your trip now, or read on to make the most of your visit to the View from The Shard. A relatively new addition to the London skyline, The Shard is nevertheless one of the most popular buildings in London. Opened in 2012, it stands at 309 metres tall, boasts 95 storeys, and is the tallest structure in both the UK and Western Europe. 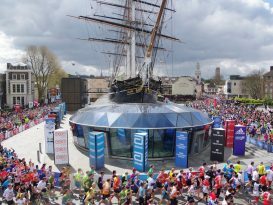 Easily the biggest draw is the View from The Shard, the viewing platform and sky-high bar which has been welcoming visitors since 2013. Your trip starts with the obligatory diversion through security, and then to interactive screens telling the history of London and The Shard, before you reach the lifts. A high-speed journey to the 68th floor includes graphics to make it seem as if you’re ascending through the roofs of London landmarks, including St Paul’s and the British Museum. 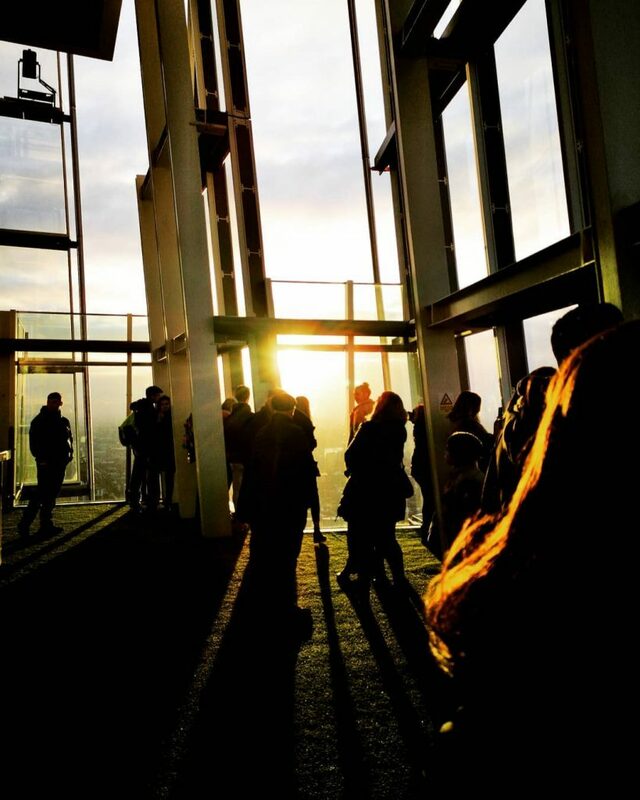 Once up in the sky, you can check out the merch at The Sky Boutique (London’s highest shop), or ascend to Level 69, where you’ll find the main observation deck, including the only 360-degree view in London. Up here, you can admire the views, learn more by using one of the interactive telescopes, or simply prop up the in-house bar with a cocktail in hand. For the highest possible views, head up to Level 72. The highest spot of The Shard that’s open to the public, this observation deck partially open air (and thus a tad windy), but quieter than the more commercialised lower levels. From your perch above the city, sights including Tower Bridge, Canary Wharf, St Paul’s Cathedral, and Wembley Stadium can all be glimpsed. You can even watch over the city from the bathrooms, giving you panoramic vistas from the porcelain throne – luckily, there are automatic blinds you can shut if you fancy some privacy. In a word, everything. The name gives it away; you’re here for the views, and on clear days, you can see up to 40 miles away. 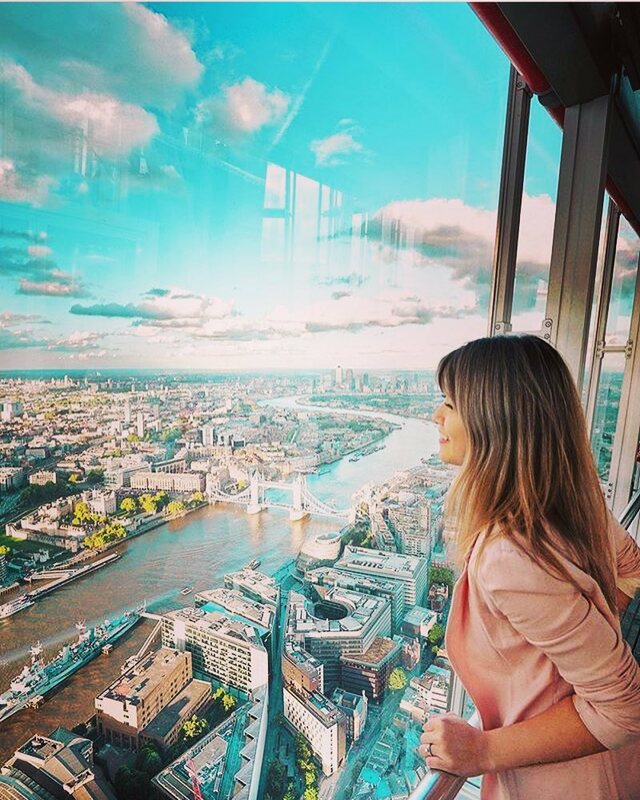 Handily, there’s a good weather guarantee – if you can’t spot at least three of the London Eye, St Paul’s, the Walkie Talkie, Tower Bridge, and One Canada Square (that pointy Canary Wharf building) on your visit, they’ll let you return for free within three months. Isn’t that nice of them? Look north, and you’ll have the Tower of London, the Walkie Talkie, and the Gherkin in your eyeline. Eastwards, sights to spot include Canary Wharf, the O2, and Tower Bridge. To the south, the landmarks are a little more scarce, but you’ll catch sight of Battersea Power Station and the Oval cricket ground here. Over in the west, you’ve got the heavy hitters: the London Eye, Big Ben, the Houses of Parliament, Hyde Park, and Buckingham Palace. Much like a visit to the Eiffel Tower or Empire State Building, another thing you tend to see at the View from The Shard are proposals. Maybe it’s the gorgeous views, maybe it’s the lack of oxygen, but there’s no shortage of guys and gals popping the question up here. Thinking about proposing to your SO? 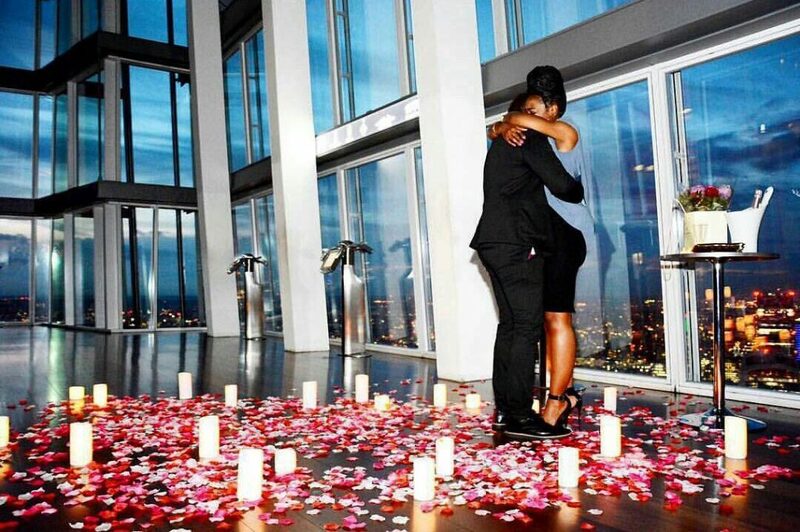 The View from The Shard offers secluded 30-minute hires of the space exclusively for proposals, which is plenty of time to work up the courage, splutter out a speech, find the ring, cry some happy tears, and get in a few pictures and phone calls. Sorted. 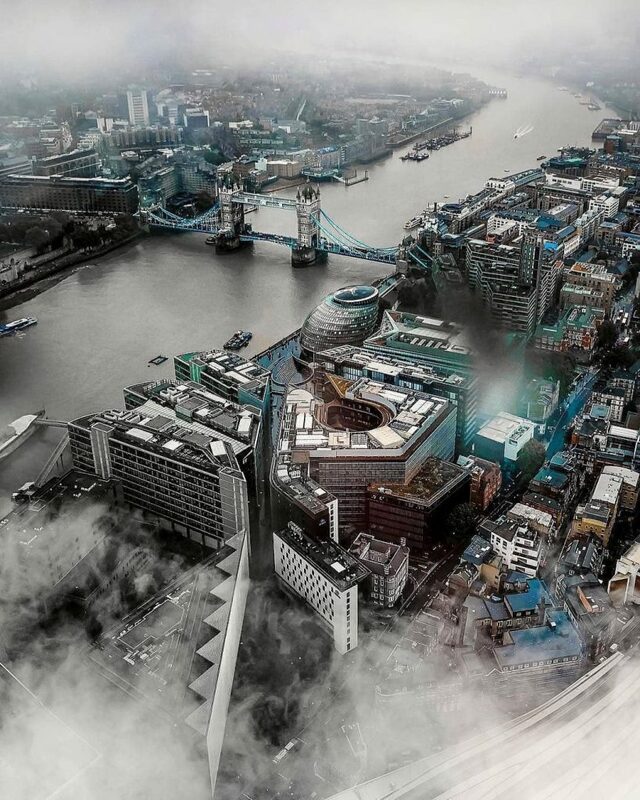 There’s no bad time to head to the View from The Shard, really. If you go during the day, you’ll have the best chance of seeing all the London landmarks, and it tends to be a tad quieter than the sunset sessions. Having said that, watching the sun go down from the 72nd floor is a sight you don’t get very often, so if it takes your fancy, then go for it. 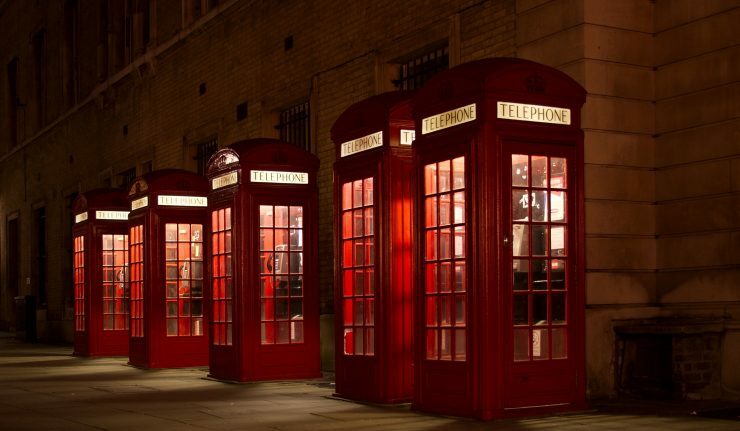 Meanwhile, a nighttime visit offers the opportunity to see the twinkling lights of London spread before you. At Christmastime, the top twenty storeys are illuminated in a festive display, so December is also a popular month for an excursion. 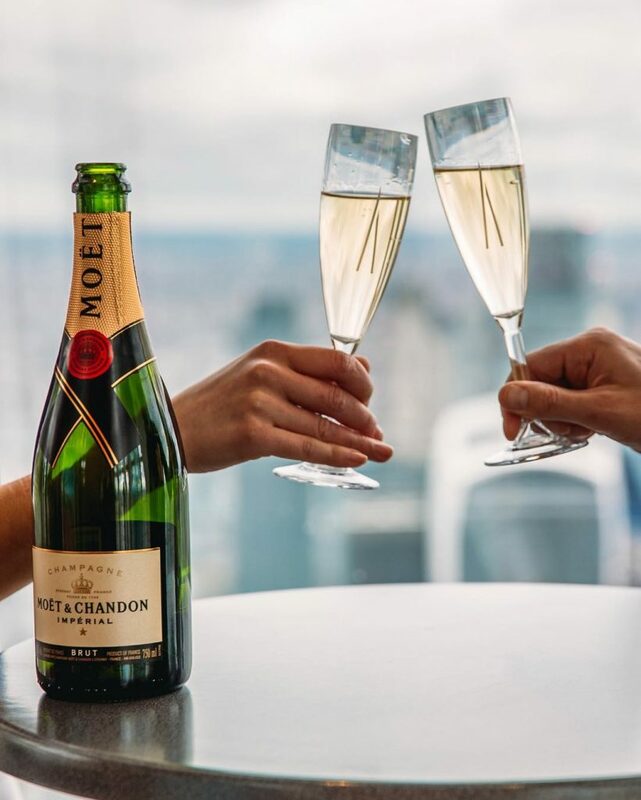 If you’re looking to turn your visit into even more of a special occasion, why not attend one of their Moët & Chandon Champagne Parties? You’re invited to don your glad rags, ascend to the heavens, and get increasing merry on a steady supply of champagne. It starts with a glass of Moët Brut Impérial Rose, and then goes… wherever you’d like it to go, I guess! 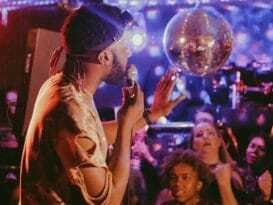 Throw in a DJ spinning out house, dance and old skool party tunes, and your View from The Shard visit just got even more memorable. Tickets are available here. 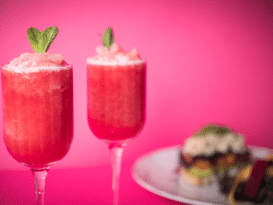 You won’t have to go too far to find a drink at View from The Shard, given that there’s a champagne and cocktail bar on the 68th floor. They don’t exactly come cheap, however, as you won’t find a cocktail here for less than £12. If you’re willing to sacrifice a few floors for a more relaxed atmosphere, then Gong Bar should suit you nicely (they also have a swimming pool, but you’ll need to be a hotel guest to use it). Clockwise from top left: Casa do Frango (@casadofrango_ldn), Padella (@padella_pasta), Hutong (@hutongshard), and Rabot 1745 (@rabot1745). 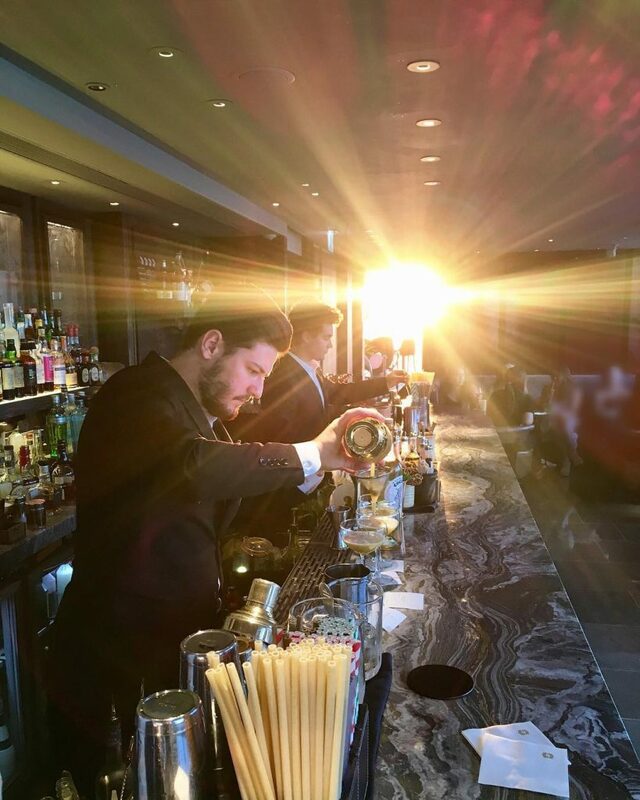 If you should start to feel peckish, then there are a variety of restaurants in The Shard itself, with Hutong and Aqua Shard being particular standouts. Back on terra firma after your View from The Shard visit? 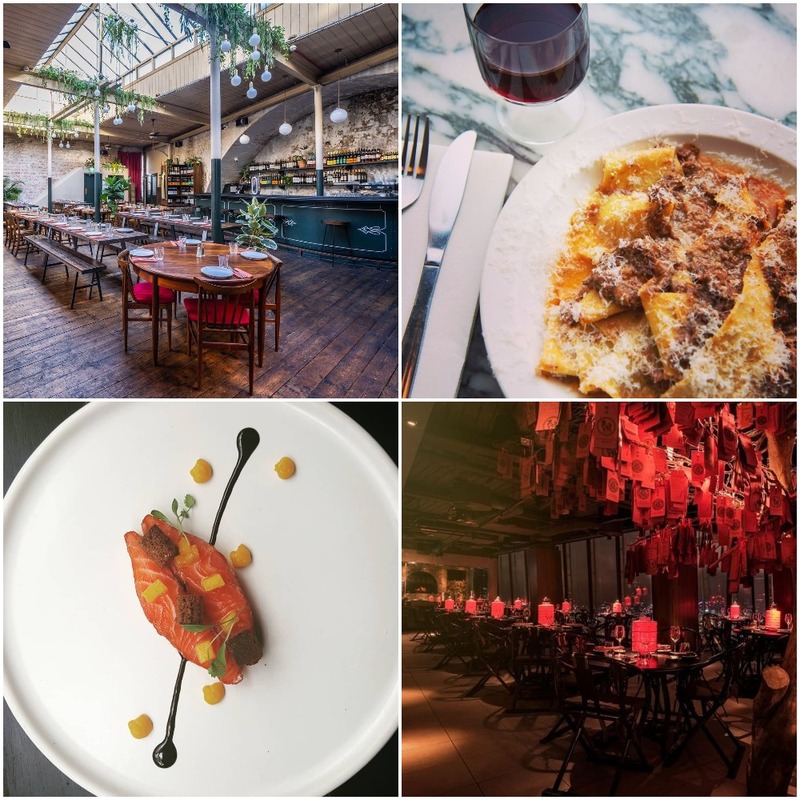 There are a whole host of restaurants in London Bridge which should satisfy your appetite – amongst the most hyped are finger-lickin’ Casa do Frango, chocoholic Rabot 1745, legendary Padella, and wonderful Spanish joint Pizarro. 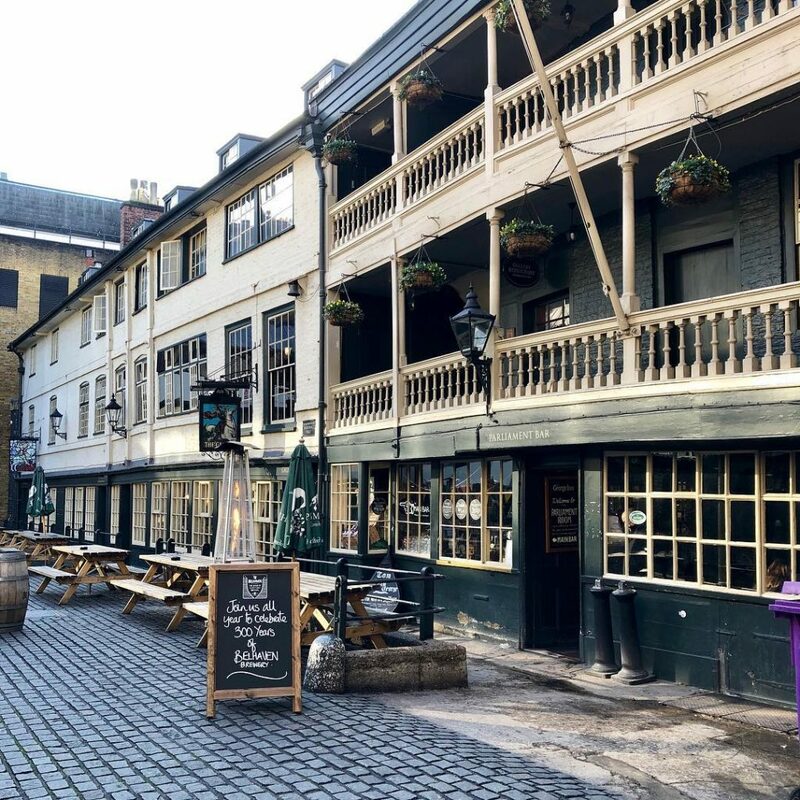 Oh, and if you need a stiff drink to steady the nerves after all that altitude, we’ve got a handy guide to the best pubs and bars in London Bridge, too. Just looking out for you! ? Location: the View from The Shard entrance is on Joiner Street, London Bridge, SE1 9QU. See it on Google Maps. Nearest station: London Bridge – get there via the Northern and Jubilee lines, or by National Rail. Price: tickets are £19.95 for children, and £24.95 for adults, and you can book them here. You’re advised to book in advance, and entry is timed in 30 minute blocks. 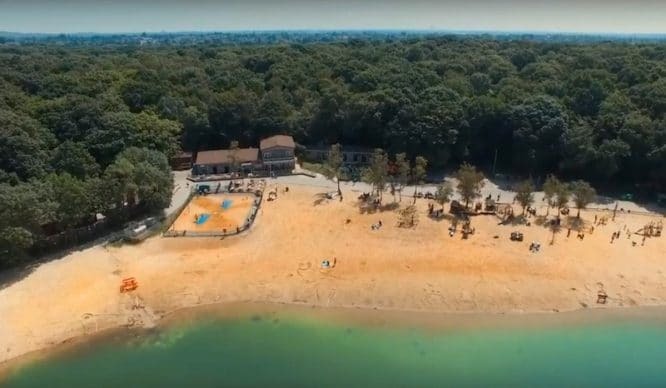 Concessions are available for those with disabilities and their carers, and you can also buy discounted group tickets and various experience packages from their website. 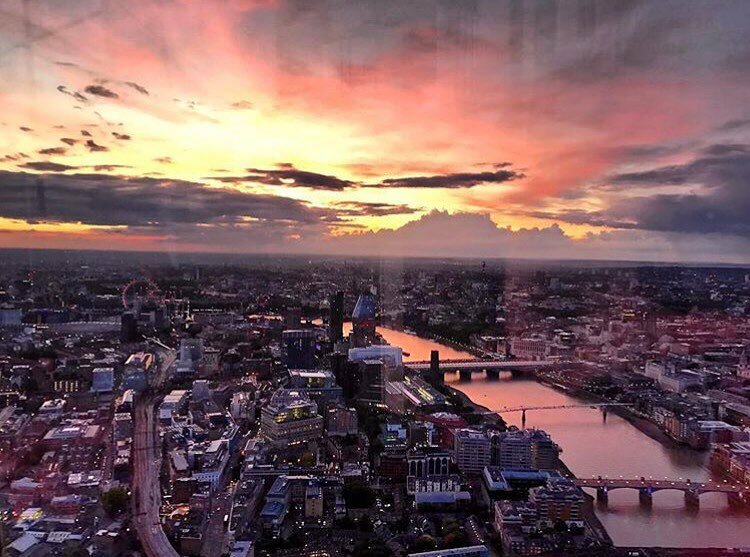 There’s also a Shard View Annual Pass, offering unlimited visits across the year for £39.50 (and thus very popular with the Instagram crowd), but it’s offered very rarely – usually through their newsletter early in the year. Opening times: 10am-8pm (Sunday to Wednesday), 10am-10pm (Thursday to Saturday). Opening times may very depending on any special events that may be taking place. More information: available on their website. We’ve created a whole bunch of handy guides to the city’s best landmarks and tourist attractions – so keep on exploring!